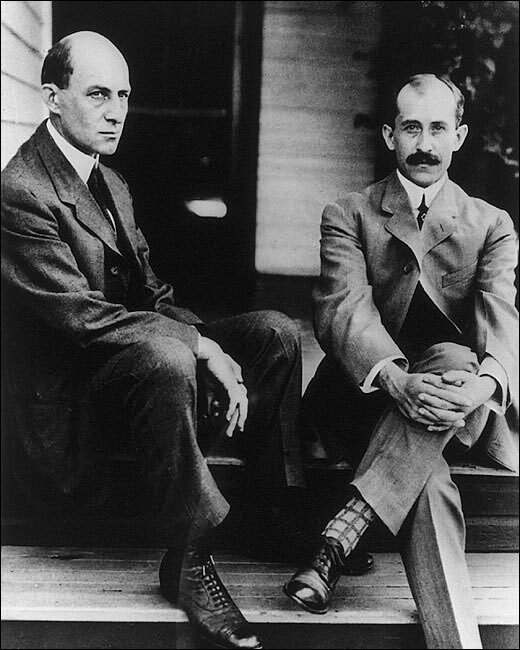 On December 17, 1903, Wilber and Orville Wright made history with the first airplane flight at Kitty Hawk, in North Carolina. At the time, their father, Milton Wright, was in his 18th year as a United Brethren bishop. He would retire two years later, in 1905. He had spearheaded the departure of the “radicals”–our group–from the main body of the United Brethren denomination, and led us in starting over. Apart from that, we would all be United Methodists, and there would be no Church of the United Brethren in Christ. There are stories of Orville and Wilbur teaching Sunday school, but they weren’t generally church-going guys. They helped their father in his lawsuits and other controversies, but otherwise didn’t get much involved in the church. In 1910, Orville asked his father, then 81, if he wanted to take a ride in an airplane. Milton did. The flight lasted just under seven minutes. Orville, afraid of how his elderly father would react at being so high above the ground, levelled off at 350 feet. He needn’t have been concerned. Milton leaned close to Orville’s ear and shouted above the roar of the engine, “Higher, Orville, higher!” That’s the story, anyway. Wilbur Wright died in 1912 after contracting typhoid fever, Milton died in 1917, and the only daughter, Katherine, died in 1929 of pneumonia. Milton’s wife had died in 1889. However, Orville lived until 1948. In 1944, future bishop Clyde Meadows and Elmer Becker, then in his third year as president of Huntington College, traveled to Dayton, Ohio, to visit Orville, who was then 73. Orville lived in the family home with his housekeeper. They were gracious hosts, and the housekeeper prepared a lovely meal. Meadows had been sent to talk about the Milton Wright Memorial Home in Chambersburg, Pa., which was named in honor of Orville’s father. They talked about the home for an hour. Then, Meadows recalled in his autobiography, In the Service of the King, they spent nearly four hours talking about airplanes. Orville told about his early days of flying, how he and Wilbur started with gliders and eventually built their own planes, and how they kept experimenting and inventing new parts. At the time, German cities were being devastated in Allied bombing raids, which killed tens of thousands of people–Hamburg, Dresden, Essen, Cologne. Meadows asked Orville how he felt about his invention being used to cause so much destruction.